Joyce Hertzoff retired from a profession grounded in fact and science and now uses the power of the pen to write mystery and fantasy stories. Her first novel The Crimson Orb was published in 2014 by Phantasm Books, an imprint of Assent Publishing. Under Two Moons, her second in the series, is forthcoming. 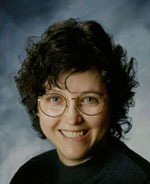 Read a complete list of Joyce’s published work on her SWW Author Page. You can also find her on Facebook and Twitter, and visit her at FantasyByJoyceHertzoff.com and HertzoffJo.blogspot.com. 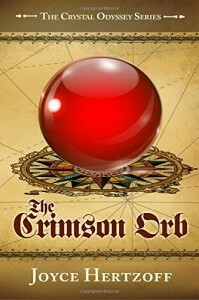 What is the elevator pitch for your fantasy novel The Crimson Orb? Searching for her mysteriously missing magic teacher, teenage Nissa’s adventures reveal how little she knows about her world, and how resourceful she can be. It has to be Nissa, because she’s the one who grows the most from her experiences. I particularly love the fact that she achieves her dream of learning to sword fight, but also learns that the lessons she disdained—cooking and sewing—could be useful skills as well. In the second book, Under Two Moons, her sewing skills become even more important. Looking back to the beginning of your writing journey, what do you know now that you wish you’d known then? One of the things I learned is to stay in the same point of view, at least throughout a chapter. Related to that, I tend to write in first person. There are both advantages and disadvantages to that. The disadvantage is you can’t show anything your first-person protagonist hasn’t experienced themselves. Sometimes someone else has to tell them about it. But the advantage is the writer can take the reader into the thoughts of their protagonist; I don’t always use this as well as I should, especially when it comes to showing emotions and reactions. You write in both the fantasy and mystery genres for adults and young adults. Which genre presents the most challenges? The challenges are different. For fantasies, I have to develop a clearly defined new world, while for murder mysteries, I have to decide “whodunit” and find ways to throw suspicion on many of the other characters. And each audience has its expectations that I have to meet. That’s not always easy. The language/words I pick when writing for adults is slightly different for young adults, too. Tell us about some of the marketing tie-ins you used for The Crimson Orb. Did you plan these or were they more of an afterthought? All of my marketing tie-ins were afterthoughts. 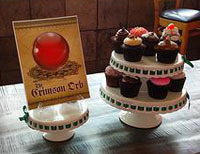 The fortune cupcakes in the book were created in response to an online prompt. When I looked for a place to launch my book, though, the obvious choice was a bakery that agreed to make fortune cupcakes for me. I also want to fill my book website with more than the usual book synopses and articles about writing. I found photos online that are similar to how I picture my characters, so I added those with brief bios for each. And I have a couple of recipes for some of the strange foods Nissa and her friends found in their travels. I hope to add more in the future. When I get an idea, I sometimes outline the first few chapters, but once I start writing, and especially after the characters and world are developed, I let my characters lead me where they want. I might do some minor revision as I’m writing, especially if I’m submitting chapters to others to critique, but most of my editing is done after I’ve typed “THE END.” I’ve taken many writing classes in the past few years, including ones on craft, and I apply what I learned as I edit. What part do beta readers or critique partners play in perfecting your manuscripts? I love having beta readers and critique partners. Most give me a readers perspective so I know if what I intended is how the story actually comes out. It is important, of course, to know the abilities of the readers and critiquers. Some provide more insight than others. Don’t give up. Find publishers who’ve issued books similar to yours. Develop a great query to send them, one that will get their interest enough that they’ll even read your submission. Create a first page that grabs them. For Part 2 of this interview, published on KL Wagoner’s website, click here.